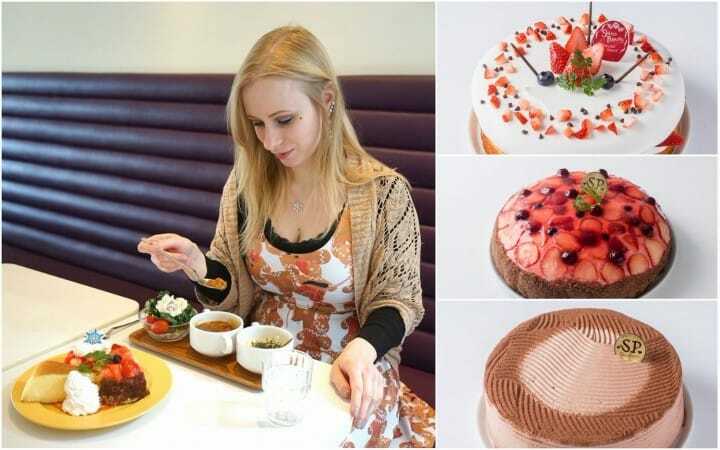 https://matcha-jp.com/en/5718 Sweets Paradise - Go To Cake Heaven And Eat As Much As You Want! Sweets Paradise is a popular all you can eat sweets buffet in Japan. In addition to their amazing variety of sweets, you can also choose from their pasta dishes, salads, and unique drinks. If you love delicious Japanese cakes, this place is for you! Many people love Japanese sweets but if you are here on a visit it might be difficult to sample all the delicious cakes Japan has to offer. If you always dreamed of sampling as many sweets as you desire and not go bankrupt while doing so, Sweets Paradise is the place for you. Let us introduce you to Sweets Paradise Harajuku Store, which is located in Harajuku, Tokyo's popular youth culture hub. Sweets Paradise is a very popular all-you-can-eat dining store chain in Japan. As the name suggests, it is a paradise for everyone with a sweet tooth as they mainly focus on cakes, ice cream, and other sweet treats which can be enjoyed within a certain time limit (which can range between 70 minutes and 100 minutes, depending on the menu option you choose). In addition to sweets, their menu includes a variety of pasta dishes, curry rice, and salads as well. So if you go with someone who is not as much into sweets, they will still be able to enjoy a variety of tasty dishes. Sweets Paradise is an excellent choice for a festive occasion, for example the anniversary of a friend. If you contact the facility beforehand, they will prepare a surprise for your friend - a birthday cake with their name on it and a festive birthday song. Overall, it is a cozy dining place that you can enjoy either alone or with friends. What distinguishes Sweets Paradise Harajuku from other stores is its youthful and colorful interior which reflects the vibrant youth culture of Harajuku. The store has collaborations with artists, idols groups, and popular characters. These collaborations result in a unique interior design that changes almost every month, and also in exclusive menu items. If you wish to enjoy exquisite sweets and experience the popular culture of Harajuku at the same time, then how about dining at the Sweets Paradise Harajuku Store? Cakes are the main item at Sweets Paradise. They offer over 40 different types ranging from cheesecake over chocolate cakes to the famous Japanese whipped cream and fruit-filled varieties. They also offer various kinds of pudding mousse which can be counted into their sweets category. Are you curious to know what are their most popular cakes? Let us introduce the top three. This exquisite dessert is a fluffy sponge cake filled with strawberries and whipped cream, and decorated with fruit and chocolate drops. Another sponge cake with a filling of whipped cream and a variety of fruit covered in jelly on top. The sides are covered in chocolate sponge cake. It is a really nice combination of textures! This layered chocolate sponge cake is filled with delicious chocolate whipped cream. All kind of whipped cream cakes are very popular in Japan. They also have a small variety of mochi (soft rice cake) toppings, as well as fruit salads. We decided on cheesecake, banana omelet cake, and berry cake with an extra helping of whipped cream. Don't they look pretty together? At Sweets Paradise, they also have 20 different kinds of ice cream available. If you love ice cream, do check their selection. At Sweets Paradise, customers can also enjoy regular food such as spaghetti or curry rice. If you choose spaghetti, you can top your dish with a sauce of your choice. They have mentaiko (spicy fish roe) cream sauce, Napolitan sauce, peperoncino sauce, tomato sauce, and meat sauce. They also have various soups you can add pasta to, a dish known as soup pasta in Japan. You can also enjoy Japanese curry and rice dishes, as well as their excellent salad bar. The salad bar even includes kale and quinoa (*1) dressings which are usually quite hard to find in Japan. When we visited Sweets Paradise, there where a couple of people enjoying their lunchtime here. *1 Quinoa: A seed that can be used like rice and has many health benefits. There is also a small popcorn corner. Top your fresh popcorn off with flavors such as salt and pepper, curry, consomme (Japanese soup flavor) or green tea and enjoy! Aside from the standart drink menu which offers soda, water, iced tea and coffee, at Sweets Paradise you can enjoy a variety of unique beverages. For instance, there are four different fruit infused water beverages to choose from. The fruit water is slightly sweetened, so if you are looking for something to balances the sweetness of the cakes, tea might be a better choice. At Sweets Paradise, you can choose from 25 tea flavors. From simple Earl Grey to mint tea and even yuzu (a type of Japanese citrus fruit) flavored tea, with such a wide range of choices, you might consider coming here just for tea. In order to enjoy the menu available at Sweets Paradise, you need to buy a ticket at the entrance from the vending machine. There are various types of tickets available. Insert the money first and then press the button showing the ticket of your choice. From the upper row of buttons, you can buy tickets for the collaboration menus, which contain exclusive items made in collaboration with idol groups or popular characters. Press the first button to order a menu for an adult (大人) and the second one for the menu for a child (小人). On the other hand, you can enjoy the regular menu (which you order from the buttons on the bottom row) and choose only one drink and one food item from their collaboration menu for 500 yen (third button on the upper row). The blue button on the right can be used to order a glass of beer. From the second row you can buy tickets for two special plans. The one on the left is a 100 minute plan which allows you to eat any of the dishes available except ice cream. The plan on the right is a 70 minute cafe menu available after 3 PM until closing time. It only includes drinks, cakes, and snacks from the popcorn and fried snack corner. These menus can also be chosen for either adults and children. Lastly, from the bottom row, you can choose between regular menu option. The two buttons on the left are for 80-minute tickets that include the ice cream menu and everything else on display - available in the adult and child versions respectively. The two buttons on the right are for 70-minute tickets for all the dishes except ice cream. This regular menu is also available for both adults and children. Children under 3 years of age can eat for free. However, this applies only if the child is accompanied by a paying adult. * Please be aware that the prices might change. A Great Place for Sweets Lovers! If you have always wanted to try Japan's delicious cakes, then you should definitely check out Sweets Paradise. If you come in for the cakes, remember you can come after 3 PM and choose the cafe plan which allows you to sample all the cakes available for under 1000 yen, which is a great deal! On the other hand, if you choose the regular plan, you can enjoy a full meal and an amazing dessert for much less than you would pay in most other places in Tokyo. If you love sweets, do give Sweets Paradise a try! Harajuku Guide: Access, Recommended Fashion Shops, And More! All-You-Can-Eat Dessert Spree At Tokyo Skytree's Salon De Sweets!